Lay your power-hungry hands on this! 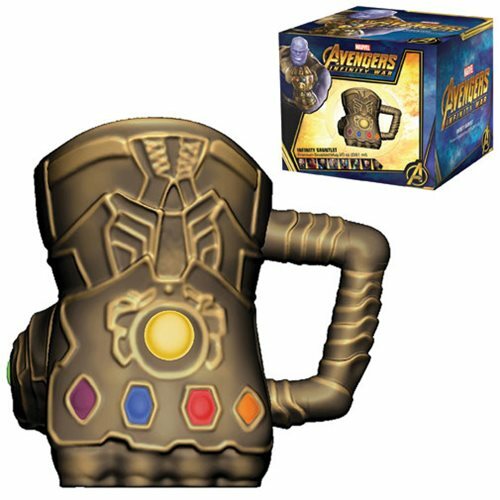 Maybe you can't get your power-hungry hands on the actual Infinity Gauntlet, but you can wrap your rapacious fingers around this amazing Avengers: Infinity War Gauntlet 20 oz. Sculpted Ceramic Mug. It features the Infinity Stones and comes in a matching full-color gift box. Hand wash only. Not dishwasher safe. Do not microwave.